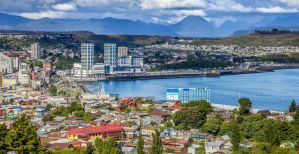 Puerto Montt is a great travel hub for visiting Chiloe Island, the nearby seashore, various locations in Patagonia, or to head east to Argentina. The hostels below are some of the best in town. You'll surely be comfortable with one of these options. 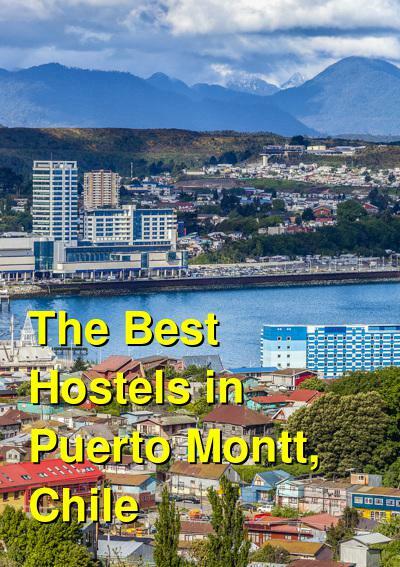 How much do hostels in Puerto Montt cost? Hospedaje Vista al Mar is located only a few blocks away from the bus station. It is a family house that welcomes national and international tourists every day. Free breakfast, free wifi, self-catering facilities, and hair dryers are available at the hostel. The hostel offers single and twin private rooms with shared bathrooms and double private rooms with with its own bathroom. Located in a residential area near the bus station and only 20 minutes away from the city center by foot, Hostal Jacob is a relaxing, peaceful and great place to spend your days in Puerto Montt. The hostel offers double and triple rooms with private and shared bathrooms. Each room is equipped with heating, cable TV, free wifi and all the necessary beddings. A free breakfast is included in the price and there is a 24 hours reception with a friendly and helpful staff that can answer any travel related questions you might have. Hospedaje Javiera is found in an old, but well preserved, typical house of southern Chile, which is very attractive for tourists who wish to learn more about Puerto Montt's history. The guesthouse is located near the center of Puerto Montt in a quiet street where you can easily reach all the necessary places such as the supermarket, the bus terminal, shopping areas, bars and restaurants etc. in less than 10 minutes walk. Hospedaje Javiera has 7 rooms with shared bathrooms, cable TV, WiFi, towels and a daily housekeeping service. The breakfast is included in the price, the staff is present 24 hours a day to help you with any need you may have, free private parking is available and the shared kitchen and living room with TV can be used by guests at any time. The hostel also has agreements with tourism companies as well as car rental companies and proposes airport transfers at an extra cost.